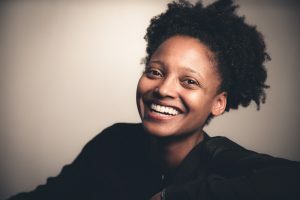 Today on My Poetic Side we look at Tracy K Smith as it is announced she has won the 2019 Harvard Arts Medal, and we also have the poetry book written by the notorious Bonnie and Clyde which is going up for auction. Tracy K Smith, the U.S. laureate for poetry, and a graduate of Harvard in 1994 will be returning to receive an Arts Medal later this year. In a ceremony that will be conducted on 2nd May by the Harvard President, Larry Bacow, Smith will receive the 2019 Arts Medal. There will be a conversation between Smith and the Oratory and Rhetoric Professor at the University, which will form a part of the ceremony. John Lithgow, the actor, who is also a Harvard graduate will act as host for the presentation, which is the opening episode of the festival Spring Arts First, an annual event that this year will be taking place from 2nd – 5th May. As a student attending Harvard, Tracy became a member of the famous Dark Room Collective, which is a community of writers of colour. Since graduating she has written four collections of poetry, been on the T.S. Eliot Prize shortlist, been awarded a poetry prize from Cave Canem, and in 2012 she was awarded a Pulitzer. Her memoirs were also a finalist in the National Book Awards for Nonfiction in 2015. In 2017, Smith was appointed as the 22nd poet laureate of the U.S. In winning the medal Smith adds her own very unique poet’s voice to Havard’s poetry tradition, a tradition that can be traced back over three centuries. Her name joins those of Henry David Thoreau, Adrienne Rich, Ralph Waldo Emerson, Gertrude Stein, Wallace Stevens and John Ashbery. 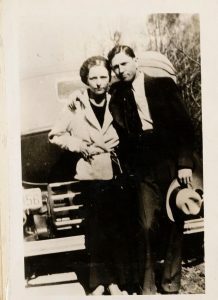 The names of Bonnie and Clyde are synonymous with crime and being on the run. Now a photo album that has never been seen before reveals something of a different side to the two lovers. The photo album, together with a scrapbook, has been for decades languishing in a box in a garage. And it is full of poetry that the couple wrote, together with one poem that foretells their own death during a shootout with the cops. The album which dates mostly from 1933 and 1934 also includes images of the couple who were suspects in murders, robberies and burglaries. The album was the property of Nell Barrow, the older sister of Clyde, when she died in 1968 it passed to his nephew. He has now decided that it is time to sell both the photos and the scrapbook via an auction house. Preliminary estimates suggest that the two items should fetch an expected estimate of around £23,000. The poems are all written in pencil and are included in a green leather-bound album. The poems include a 16-stanza verse written by Bonnie that tells the couple’s story and a poem that was written in 1933 by Clyde in which he pleads for forgiveness. It also includes a chilling line that predicts he and Bonnie would be buried next to each other. The auction will be taking place on 30th March.